Time to Back Up the Truck? This morning looks like the final blow-off. Before you panic, check out the latest KWN interview with Sinclair. I know he didn’t expect this follow-up “MANUFACTURED SELLING,” but perhaps this is the bottom he was talking about. 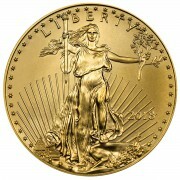 Right now the big money is securing physical gold, and using the cover of the paper market in order to accomplish that. I would add that bullion banks are doing exactly what they did in 1979. It’s 1979 all over again and they know a massive up-move is coming in gold, and they are getting prepared for the liftoff. The character of the gold market for the next few years will be a transition from paper to physical as the arbiter of price. We are already seeing the inventories of the futures exchanges beginning to decline. Price appreciation will follow this decline in inventories as sure as day follows night. Other large dealers are out of junk silver bags. That’s not a surprise. We don’t have any for immediate shipment either; however we can still lock in orders with shipping delays. The premiums are rising – which always happens when shortages appear. 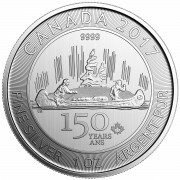 If it’s happening with silver under $30, then trying to find any when silver is over $40 or $50 should be even tougher, though higher prices will bring some of it to the market on profit taking. 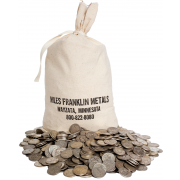 The people who buy junk silver from us are not in it for profit; they keep junk silver coins around for barter or an emergency. This much I can tell you – it is getting harder to source gold and silver and our business is really strong. On the one hand, my personal gold and silver portfolio is worth “less,” but on the other hand my business is strong. 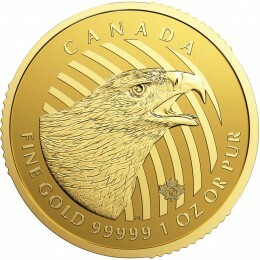 For ME, it is easier to take the low price of gold and silver because it does not negatively affect my business. As an investor, it gets a bit trying and we all have to work at looking a bit down the road or focusing on all of the reasons why our decision to own gold and silver is the right one. I have no doubts about it – I hope you feel the same way too. Sinclair still maintains the low is in. Well, he’s wrong – but the question is, what happens next. His point was, once the low is in, the rally back up will be something to see. I’m not basing my decision on whether gold falls some from here or not. It’s not in my plans to sell any for a few years anyway. Physicals are not for trading or profit taking. If you wish to play those games, stick with the ETFs or mining shares. Physicals are still a “buy and hold” asset. Just don’t let these manufactured “corrections” get you down. Honestly, I use them to add to my position.